In this compilation of three episodes from his classic television program, "Life is Worth Living," Bishop Fulton Sheen delivers his thoughts on various elements of the Catholic Faith with his ever-present humor, animated presentation, and captivating mode of speaking. 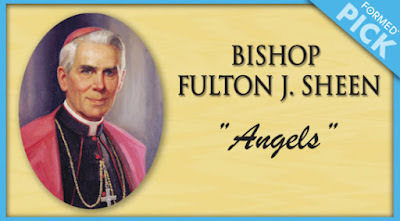 In the first segment, "Angels," Bishop Sheen explicates the nature of angels and the meaningful role they play in our world. In the second, "The Touch of Your Hand," Bishop Sheen delves into the beautiful truth that through His love, God makes us lovable, and we can effect this same transformation in our neighbor. Lastly, in "Caring," Bishop Sheen insists on the need to love our visible neighbors, and through these caring acts, love our invisible God.